Who would have thought, butternut squash, raw? The texture reminds me of a green papaya salad. 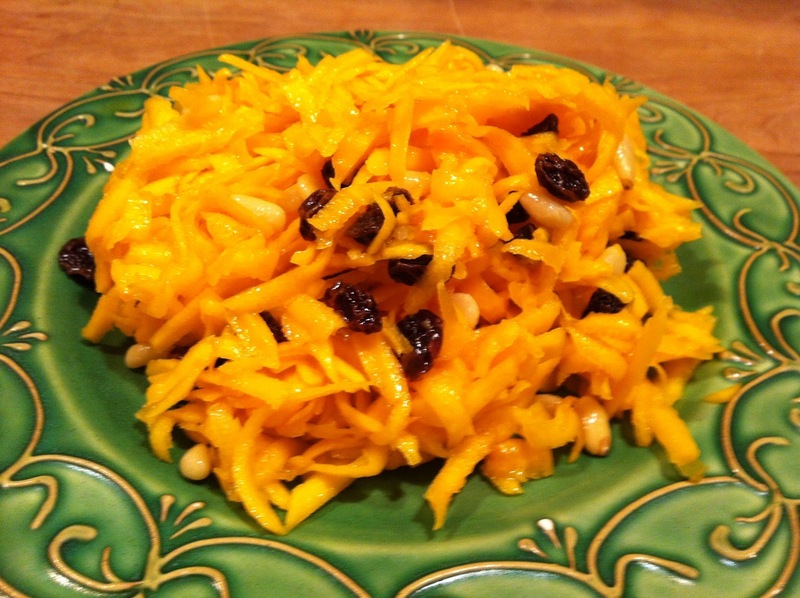 Start by soaking your raisins of dried cranberries in a small bowl of rice wine or white balsamic vinegar. Peel and seed the squash and shred into a bowl with a box grater. Before serving toss with your soaked fruit and vinegar, pine nuts or slivered almonds, a few splashes of extra virgin and olive oil, and kosher salt and pepper to taste. Don’t hesitate to add additional vinegar if you think it needs it. Crunchy, sweet, sour, and totally refreshing…a great winter salad. Dave - you introduced me to your raw brussel sprout salad and it changed my life - I love raw veggies but would not have thought of raw butternut. Sounds amazing. Can't wait to make this one!